Jack has over 30 years of experience working in 2 multi-national organisations, Mitsui & Co. and Rio Tinto. He has developed extensive global and Australia specific networks and expertise in commercial, project management, operations and corporate governance. His has a broad resource sector exposure in handling a variety of products including coal, ferrous raw materials (steel scrap, semi-steel products, pig iron, HBI, ferro alloys), iron ore and copper/gold. He currently serves as Managing Director of AvidSys, an Australian entity of the Indian conglomerate, managing resource/mining assets acquisition, operation, JV management, mining commodity trading and business / management consulting. Previous roles that Jack has fulfilled include Chief Operating Officer (COO) of Oyu Tolgoi LLC in Mongolia, Managing Director of Construction and Contractor Safety for Rio Tinto, COO of the Pilbara Supply Chain for Rio Tinto Iron Ore, and Managing Director of Robe River Iron Ore JV and Pilbara Infrastructure for Rio Tinto Iron Ore.
Jack received his Bachelor of Economics degree from Waseda University (Japan). With 20 years of oil and gas work experience, Daein specialises in LNG major capital project management, LNG business development and LNG procurement and trading. 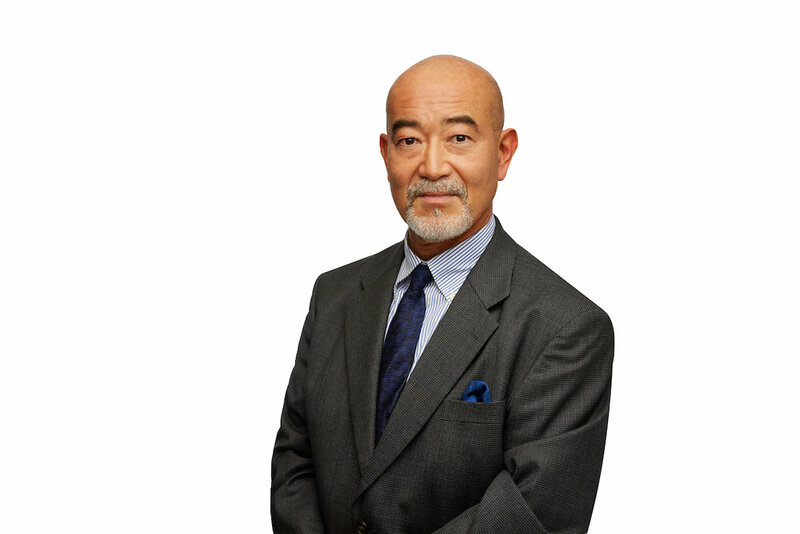 He joined Tokyo Gas Co., Ltd in 1998 and has since served roles of increasing responsibilities including Manager of LNG procurement & trading, and Manager of LNG upstream business development. Daein joined Chevron Australia (Chevron) in 2012 as Deputy Business Manager and in 2014 as Deputy Project Manager for the Gorgon Expansion Project. He also served on the Project Leadership Team to manage the development of Chevron's Gorgon Stage 2 and Jansz-Io Compression projects. Daein has taken on the role as Managing Director of Transborders Energy since November 2016. Daein received his Bachelor’s degree in Management from the International Christian University (Japan), Masters in Business Administration (MBA) from the University of Virginia Darden Graduate School of Business Administration (USA), and qualification as Certified Cost Professional (CCP) of AACE International accredited by the Council of Engineering and Scientific Speciality Boards. Daein is also a member of the Association of International Petroleum Negotiators (AIPN). Chris has spent the last 30 years bringing difficult commercialisation projects on stream using highly creative and sometimes unorthodox business strategies. These have included the Strathspey, Captain and Galley fields in the North Sea and the Gorgon, Karachaganak and Agbami fields internationally. Chris has worked on the world scale LNG projects; Gorgon LNG and Angola LNG and has extensive experience contracting FPSO production vessels and negotiating commercial deals. More recently, Chris put together the $2.5 billion development of the Kraken field for Nautical Petroleum, a small market cap company and was also Commercial Development Director for CompactGTL, a start-up company set up to monetise a new compact GTL technology. Chris has a BSc and PhD in Civil Engineering from the University of Birmingham (UK), and was a member of the team that developed the world’s first TLP for the Hutton Field. While working in Britoil’s drilling department in the early 1980’s, he helped develop the technology required for deep water and HPHT drilling and subsequently joined Texaco, where he was responsible for their subsea production systems, including the first use of subsea wireline in a live well. Our high calibre team and partners bring an extensive mix of commercial, technical and business development capabilities with a global network in the oil and gas industry.